By Leah Dobrinska. Mar 8, 2017. 9:00 AM. Since its inception in the early part of the 20th century, the Nobel Prize in Literature has been awarded to a Latin American author on six different occasions. While all Nobel laureates are worthy of our study, praise, and, in many cases, collecting efforts, there is a special place in our hearts for these six from Latin America. Over the course of the next few months, we’d like to detail for you book collecting information and ideas for these Nobel Prize winners. Today, we spotlight the first Latin American winner, Gabriela Mistral, and the most recent winner from Latin America, Mario Vargas Llosa. Gabriela Mistral won the Nobel Prize in Literature in 1945, and she was the first Latin American—and to this point, the only Latin American woman—to win the Prize. The Nobel committee cited "…her lyric poetry which, inspired by powerful emotions, has made her name a symbol of the idealistic aspirations of the entire Latin American world" as motivation for her award. 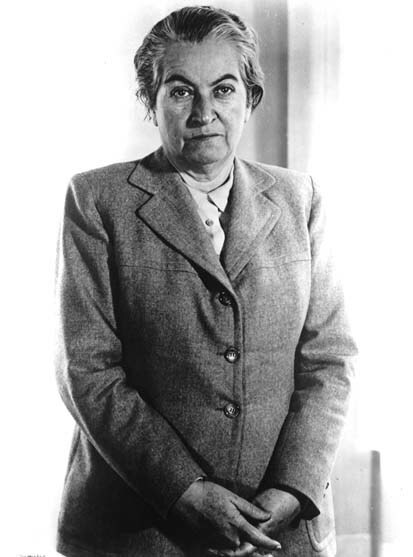 A lesser known fact: that name, Gabriela Mistral, is actually the pen name of Lucila Godoy y Alcayaga. No matter what name she wrote under, though, it’s impossible to dispute the impact of Mistral’s work. For the collector seeking out prime materials for a Latin American library or anyone looking to add to a collection that features powerful, passionate women’s voices, Gabriela Mistral is a must-have addition. A good place to begin one’s Mistral collection is with her collection of poetry, Desolación. Desolación, or Despair, was published in 1922 in New York by the Instituto de las Españas. The collection gives readers a strong taste of Mistral’s poetic style, as well as an early overview of the significant themes and ideas she conveyed with her poetry: love and hope, fear and suffering. Desolación includes the poem “Dolor eterno” which translates to “Eternal Pain,” and deals with death and suffering. Other notable poems in this collection include "Mis libros" or “My Books” which has a biblical focus, and “Decalogo del artista,” a sort of artist’s Ten Commandments. First edition copies of Desolación sell for several thousand dollars, with a higher price tag on copies that include a rare, Gabriela Mistral signature. A Chilean publication was completed in 1923 by Nascimiento. It is considered of less value than the Instituto de las Españas publication. Mistral’s second famed poetry collection is Tala which was published in 1938 by Sur in Buenos Aires. In Tala, or Harvesting, Mistral focuses on the beauty of place and the customs of one’s surroundings—primarily those of Latin America—while also interweaving verses of sadness and despair at the loss of place, solitude, and the death of her mother. Mistral set up the proceeds of Tala to benefit the children who were displaced and orphaned as a result of the Spanish Civil War. Like Desolación, signed first edition copies of Tala are rare and will fetch a sum of several thousand dollars. Reading copies are available for significantly less. The final collection of poetry Mistral published before her death was titled Lagar. Published in Santiago in 1954, Lagar’s contents include examinations of life, death, spirituality, womanhood, place, and seemingly everything in between. Truly, Mistral’s passion seeps through her poetry in every collection. These titles only scratch the surface of her body of work. While poetry often comes directly to mind when thinking of Mistral, she also wrote in prose-form. If you’re interested in translations, check out those completed by Langston Hughes and published in 1957, or those completed by Doris Dana and published in 1971. Mario Vargas Llosa is Latin America’s most recent Nobel Prize in Literature winner. He was awarded the Prize in 2010 "for his cartography of structures of power and his trenchant images of the individual's resistance, revolt, and defeat". We’ve documented Vargas Llosa’s remarkable life and work here, and as an avid book collector himself, Vargas Llosa has contributed countless copies of his own works for the greater good of the community. Here are a few notable titles for your own Mario Vargas Llosa collection. Vargas Llosa came in to his own as a writer with a sequence of wildly popular novels beginning in the 1960s. La ciudad y los perros (The Time of the Hero) was first published in 1963 by Seix Barral in Barcelona and established Vargas Llosa as master of style and form. As an unpublished novel, the book won Vargas Llosa the Biblioteca Breve prize. While the story—which is based partly on the time Vargas Llosa spent in Lima's Leoncio Prado Military Academy—was met with critical acclaim, because of its critique of the Peruvian military establishment, it was also very controversial. In fact, the book was banned in Peru, and as a show of censorship, copies were burned. First edition copies with dust jackets in very good condition are scarce. The first edition contains photos of Vargas Llosa, the selection committee for the 1962 Biblioteca Breve prize, and the Leoncio Prado Military Academy on light orange inserted pages. Such books sell for several thousand dollars if the dust jacket is in near fine condition. The first U.S. edition of La ciudad y los perros, was published under the title The Time of the Hero by Grove Press in New York in 1966. Copies in fine condition with a dust jacket and Vargas Llosa’s signature fetch a sum of over $500. 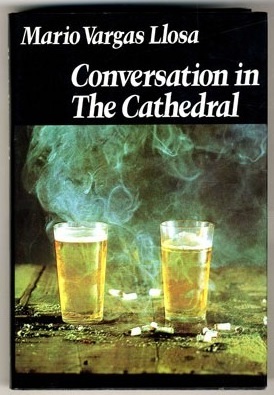 Another noteworthy Vargas Llosa publication is his third novel, Conversación en la catedral (Conversation in the Cathedral). Published in 1969 by Seix Barral in Barcelona, the novel takes on an entirely hopeless tone as it tracks Santiago Zavala’s futile search for answers within a dictatorship wherein his father plays a key role. As a result, it is often considered to be Vargas Llosa’s most acrimonious work, but also one of his most important for its commentary on life in Peru in the 1950s. First editions with dust jackets in fine condition sell for over $500. First U.S. editions were published in 1975 by Harper & Row. A reprint edition was published in 1984. These copies will cost a collector a couple hundred dollars. Vargas Llosa collectors who are interested in Latin American authors in general may be especially keen to acquire a copy of his García Márquez: Historia de un Deicidio (García Márquez: The Story of a Deicide). It was Vargas Llosa’s thesis and was published in 1971 by Barral Editores, Barcelona. Vargas Llosa wrote it about his friend Gabriel García Márquez. An interesting backstory frames the thesis, however, as the friendship dissipated a few years after its publication and following a public feud. The details are unknown, but punches were thrown. The two never seemed to reconcile. Nevertheless, a work by one of the premier Latin American authors of the 20th century and about another one of the premier Latin American authors of the 20th century—both of them Nobel laureates, no less—is a prime collection piece. First edition copies sell for over $1,000. 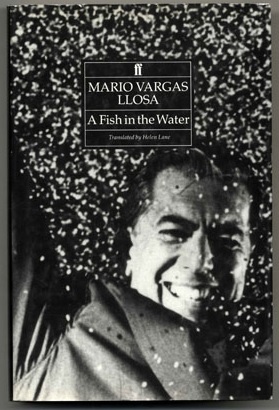 Again, it is impossible to note all of the important works of an author like Mario Vargas Llosa in a short blog post, but we do hope this gets you started. Keep in mind things like Vargas Llosa’s continued career as an actor. Finding playbills or other materials from his time on the stage may be possible due to its recent (and ongoing) occurrence, and it would add to any Vargas Llosa collection.